Analysis starts by specifying a target DNA sequence. Many popular vector and phage sequences (such as pBR322, lambda, T7, and so on) are directly accessible for processing. Alternatively, DNA sequences can be pasted into an entry form, or uploaded from local user files. Sequences of GenBank entries can also be loaded simply by specifying their accession numbers. The program distinguishes between linear and circular sequences, and handles them according to their topology. Occasional ambiguities in the input sequence are permitted; these are resolved by putting special marks on hits that are conditional on the specific sequence. Analyzing inputs with runs of N-s would be meaningless because the runs could be sites for any enzyme, and so such inputs should be avoided. Sizes of target sequences are currently limited to 300 kb. The program determines the cut sites for a repertoire of restriction enzymes. This repertoire is selectable and may be New England Biolabs-marketed enzymes, all commercially available specificities or all specificities ever characterized. Users can add hypothetical enzymes with fictitious sites to the list manually. NEBcutter keeps its internal data structures up to date by connecting daily to REBASE and by fetching the latest information about restriction enzymes and specificities. Results from a digest are presented in schematic figures, summary tables, and detailed textual pages. In the default setting, the site distribution of enzymes with single cuts is displayed (Fig. 1). One-click options can bring up the distributions of double or triple cutters. 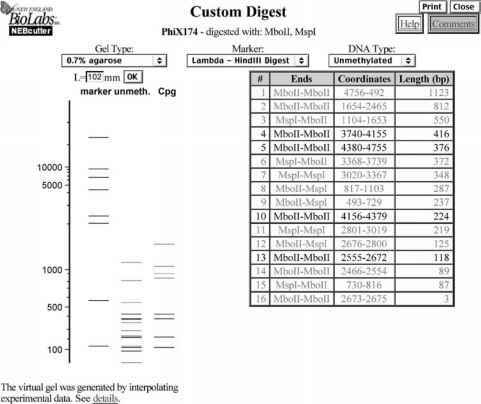 One can also switch to a display of custom digests with particular enzyme(s). Cut sites sensitive to the mammalian CpG methylation, or to typical E. coli methylation are highlighted on the output. Color-coded symbols distinguish cuts with blunt ends from cuts with 5' and 3' extensions. The user can zoom on selected regions, all the way to the actual sequence. Circular sequences need to be linearized (with a single click) before engaging this zoom option. ORF finder routine, or to manually entered and edited data. Clicking on an arrow brings the represented ORF into focus. On this page, sites that flank the ORF are indicated. 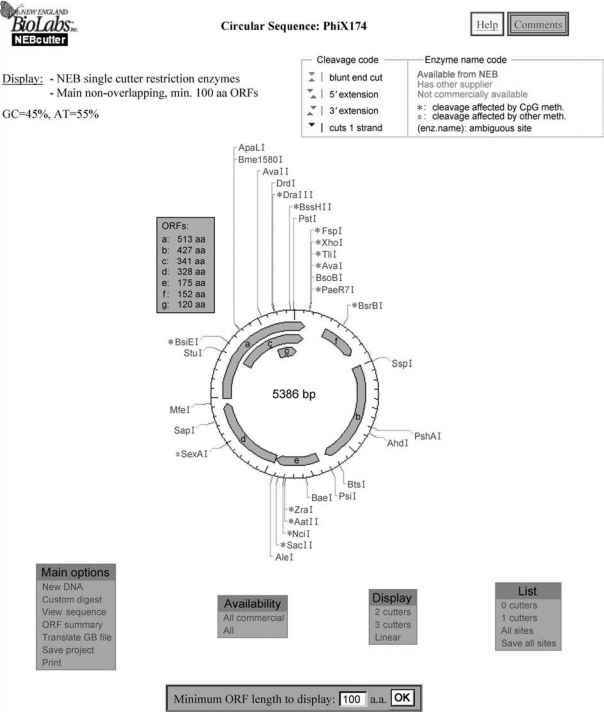 ORF-specific silent mutagenesis analysis can also be run. This module computes silent mutations that would turn previously noncutting enzymes into cutters. From the results of calculated hypothetical digests, the program is able to simulate how the fragments would separate in various gel electrophoresis experiments (Fig. 2). A reference lane with selected marker fragments can be added to the view. Additional lanes will demonstrate the effects of possible DNA methylations. With only a few clicks, NEBcutter will execute typical restriction digest analysis tasks. For more sophisticated tasks, sets of options are available. On-line context-specific help is accessible from every page. Pop-up windows show the basic information for every reported site. Direct links into REBASE are provided and detailed information about particular restriction enzymes is only a click away. 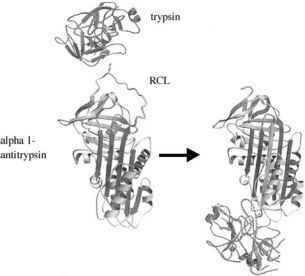 Similarly, direct links connect to on-line enzyme ordering from New England Biolabs. Management tools enable users to save and later retrieve their own projects. User feedback is encouraged and facilitated via a built-in e-mail interface.